The wild, severe fire sweeping California since Thursday is taking more and more days, while almost everyone has lost their homes. The fire is now the deadliest on record in California. 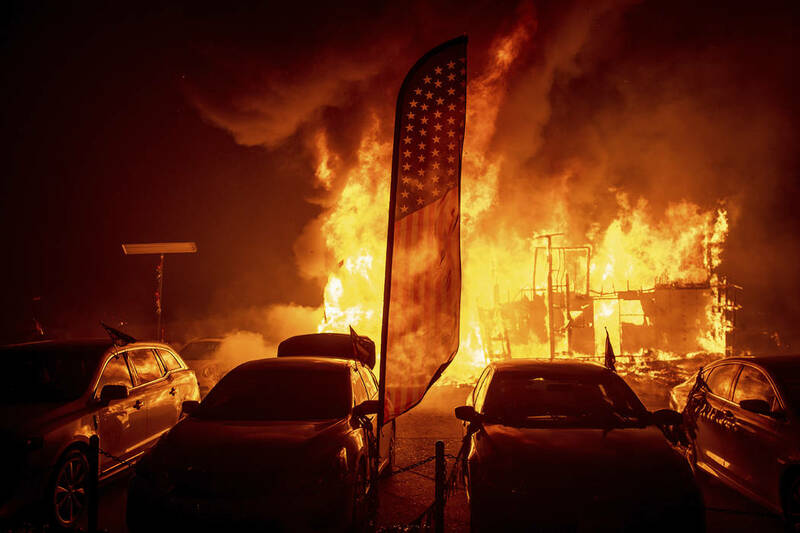 Meanwhile in the South, the Woolsey Fire has taken two lives as it swept beach resorts including Malibu. 250,000 people have been forced to leave their homes in order to avoid three major blazes in the state. As the winds are strengthening and threat to spread the flames, California Governor Jerry Brown is urging President Trump to declare a major disaster, a decision that would harness more federal emergency funds. However, Trump has previously threatened to cut funding for California, blaming the fires on poor forest management. Emergency teams have been deployed through the remains of more than 6,600 homes and business burned to the ground in the town of Paradise. The fire is the most destructive in the state’s history and has burned more than 109,000 acres and is nearly 25% contained, according to fire officials. Actor Gerard Butler shared a picture of a burnt car on Twitter, captioning: “Returned to my house in Malibu after evacuating. Heartbreaking time across California.” He thanked firefighters for their “courage, spirit and sacrifice”.